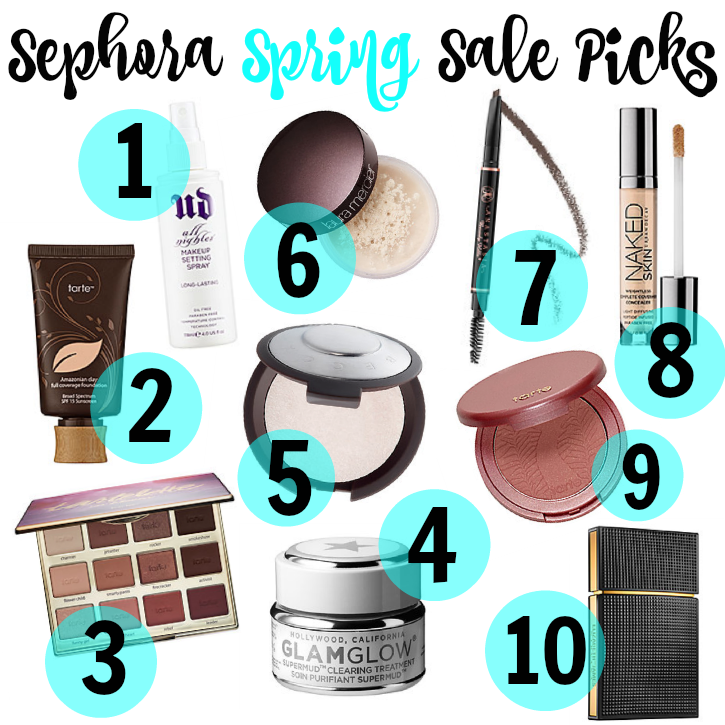 Sephora Spring Sale Picks! | Chelsea B. It's here! It's finally here! The Sephora 15% off Love Note shopping event is here! I meant to post this blog post yesterday, because the sale started yesterday for the VIB Rouges. I always tend to go a little bit crazy when this sale comes around. 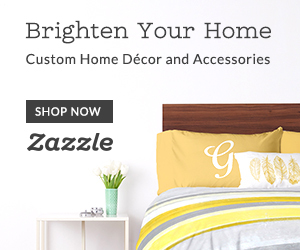 It's a great time to stock up on old favorites and splurge on some new products as well. Keep reading for information on the sale, and to get a look at what's on my wishlist! My wishlist for this sale is quite the list! Like I was saying, it's a good time to stock up on old favorites or purchase some new products that you've had your eye on. For me personally, I'm really focusing on getting some products that I've never tried that I've had on my Sephora wishlist for awhile and products that I've been seeing quite a bit in the beauty community. 1. Urban Decay All Nighter Setting Spray - I've personally never tried this, but I've heard some amazing things about it! A lot of people say this is a product they can't live without, so that really makes me want to give it a try. 2. Tarte Amazonian Clay Full Coverage 12 Hour Foundation - I have been on the hunt for a full coverage foundation that gives me the coverage without being too heavy. So, I picked up a sample and let me tell you I LOVE this foundation! I'm not exactly sure what shade I need to get, because I have a self tanner on it's way. I think I'm just gonna guess, and if it ends up being completely off then I'll just exchange it later for another shade. 3. Tarte Tartelette In Bloom Clay Eyeshadow Palette - This palette is GORGEOUS and I need it in my collection. I also want to do a cranberry makeup tutorial SO BAD even though it's Spring and cranberry is more Fall. I'll probably film it because I wear brown smokey eyes in July so yeah. 4. GLAMGLOW Supermud Mask - I've never tried a GLAMGLOW mask before. Everyone talks about how this mask is great for really cleaning your pores. I've always had really bad pores on my nose. Plus, I'm breaking out really bad right now. So, I'm thinking this might help really deep clean my pores and maybe prevent me from breaking out so much. 5. Becca Shimmering Skin Perfector Pressed - I'm going through a highlighter/brightening phase right now. I think this highlighter in the shade Pearl is SO PRETTY and I need it in my collection. I think it would look really nice as an inner corner highlight. 6. Laura Mercier Translucent Loose Setting Powder - I feel like everyone in the beauty community is talking about this setting powder! I've been seeing people use it to set their under eye concealer and I've also seen people use it to "bake" their face. 7. Anastasia Beverly Hills Brow Definer - I've been in the mood to try some different eyebrow products and I've seen a lot of people talk about this. 8. Urban Decay Naked Skin Concealer - I've been seeing a lot of people rave about this concealer. I tried the Naked Skin foundation and really liked it, so I think I might like the concealer! 9. Tarte Amazonian Clay Blush - I'm going through a blush phase, and I just want to try all the blushes. Lately I've been eyeing this Tarte blush in the shade Dazzled. It's such a pretty rose color. I've used this line of blushes before and liked them, so I think I'll really like this color! 10. Elizabeth and James Nirvana Black Perfume - This is my all time favorite perfume! I bought a baby size last time, but I'm thinking about buying a bigger size this time so it will last a little bit longer because I use this perfume everyday. What's on your wishlist? Let me know in the comments!